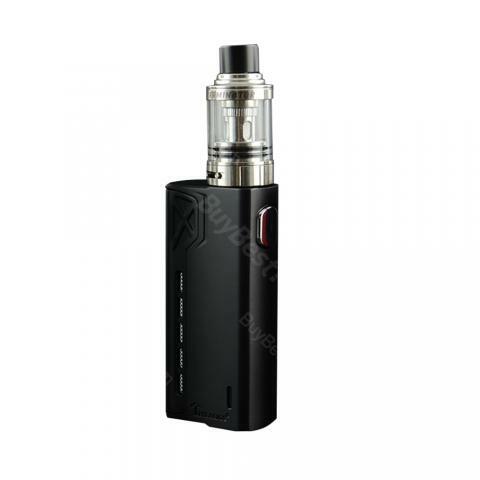 Tesla Terminator Tank Kit comes with a solid Zinc alloy Terminator box mod and a 2ml Terminator sub-ohm tank. The Terminator mod is a single 18650 box mod with unregulated maximum 90W output. The Terminator tank adopts 0.2ohm SS316 coil and adjustable bottom airflow, which brings great flavor and vapor production. Tesla Terminator Tank Kit is a compact hassle-free starter kit that consists of a Terminator box mod and a 2ml Terminator sub-ohm tank. The Terminator mod is made of solid Zinc alloy with a durable baked finish. It is a powerful mod that utilizes a single 18650 battery, supporting maximum 90W output power and atomizers with resistance as low as 0.10 ohm. The included Terminator tank comes with 0.2ohm SS316 coil and adjustable bottom airflow. Tesla Terminator Tank Kit is a good choice for daily vaping. • It has no 18650 cell. You need buy it separately. • 3 months warranty for Terminator MOD. Tesla hat gutes Set, besonders für mich als Anfänger und 0 Erfahrung mit Ezigaretten! Nice kit, I love it in red!! I looked for a while, and I finally got this, pretty good shopping experience.